A big thank you to all of our wonderful patients. You make our jobs worthwhile and we enjoy working with you. We appreciate all of your great feedback and testimonials. I’ve been seeing Dr. Cunningham since 2008, he delivered my little one in 2009. He has always been informative, professional and kind. Couldn’t ask for a better OBGYN! From check-in to check out the whole visit went smoothly. Professional yet friendly staff in pleasant surroundings. I had no doubts about Dr. Cunningham’s abilities and knowledge base, having worked at the same hospital where he practices for years. Struggling with secondary infertility, we would not have the opportunity to have another child if it weren’t for Creekside and Dr. Kent Mason, super thankful!!! Always nice and takes time to answer questions instead of rushing out the door which is a relief and a rare sight compared to other places. Samantha Corral is one of the sweetest healthcare professionals I’ve ever dealt with. She is very thorough and supportive. After experiencing the loss of our first child in 2015, my husband and I carried a lot of worry into our most recent pregnancy journey. Dr. Cunningham was very patient with us and answered all of our questions and concerns. Even on delivery day, Dr. Cunningham ensured the health and safety of my baby and myself. My husband and I are beyond blessed to have had Dr. Cunningham share in this successful pregnancy and delivery. Had a fantastic experience with Dr. Reiter. He delivered my baby girl. Ended up being a c section. I have heard horror stories about c sections, subsequent recovery, and scars. But everything went so smoothly! I was pretty much back to my normal self in 4 weeks, and the scar is so tiny, it’s barely visible! Glad to have found such an amazing OBGYN. I have nothing but wonderful things to say about Creekside. It’s a wonderful place and the staff is great. Dr. Clouatre delivered both of my children. Bridgett done all my Ultrasounds. I saw one review targeting her specifically and she is wonderful. She is so much more than an ultrasound tech, but a friend. We became so close. She hugged me and checked on me after my miscarriages and after my kids were born. She insisted on me bringing them for visits to see her. She is a great person. She is far from rude. She is very caring, loves her babies in the womb, and loves her patients. Dr. Cunningham and Becky are incredible, professional and kind. I have been with them as long as I can remember, like 20 years or so, even before Creekside was open! Dr. Cunningham has been my dr for 20+ years. He’s delivered both my children and performed my hysterectomy. Every time I go see him it’s like seeing an old friend. He truly cares about his clients and makes it a priority for you to feel comfortable during your visit. Dr. Greg Reiter is amazing. He knows so much! He also knows how to explain for those of us that don’t know. He attended my first pregnancy! He also helped me so much with this second pregnancy that turned out to be a miscarriage. He made every exam possible to make sure of a diagnosis. Loved that! Can’t wait to get pregnant again and go to him! THANK YOU Dr. Reiter! Creekside is a wonderful clinic and the staff is amazing and always so nice. Dr. Farrell is the best there, shes always sweet and has the best advice. She was my Dr for my pregnancy with my son and she will be my Dr again for this pregnancy! She’s just amazing! Samantha Corral has been absolutely amazing during our entire experience with her. Very knowledgeable and caring, not only for mom and baby but dad too. I wouldn’t change my choice of caregiver if asked if I would have ever chosen differently and if I ever have another child I would use her again. Dr. Ashley Mason is the best OBGYN for me. No regrets choosing her for she is very caring, friendly and nice. A smart doctor you can have, she knows exactly what she is talking about. She will patiently listen and answer all your questions with heartfelt sincerity. She has the power to make you feel safe and secure whenever she talks to you and can make you feel better with her smile. She’s a blessing for me that I’m thankful with. Try her and you’ll know what I’m talking about. Dr. Clouatre is one of the most caring doctors I have been to. He cares for his patients and gives his full attention to make sure you receive the best quality care. I love this clinic, they are always so nice and polite. I have been going to Creekside since 2010. I see Dr. Cunningham, I’ve seen him for my 2 pregnancies and it was all great. It has always been a nice experience I’ve never had issues with them and most importantly Dr. Cunningham is awesome as well as all the nurses and the front desk girls!! Dr. Reiter is professional and courteous, makes you feel at ease and comfortable. My experience with Dr. Reiter and his staff was wonderful. They were Kind, considerate, and compassionate. Most importantly I felt like Dr. Reiter knew exactly what to do and how to do it. Thank you so much for taking such good care of me. The best staff, friendly front staff, amazing nurses and the best doctors! Dr. Clouarte is one of the best, he takes the time to listen to everything and doesn’t rush! His nurse is just the sweetest as well! 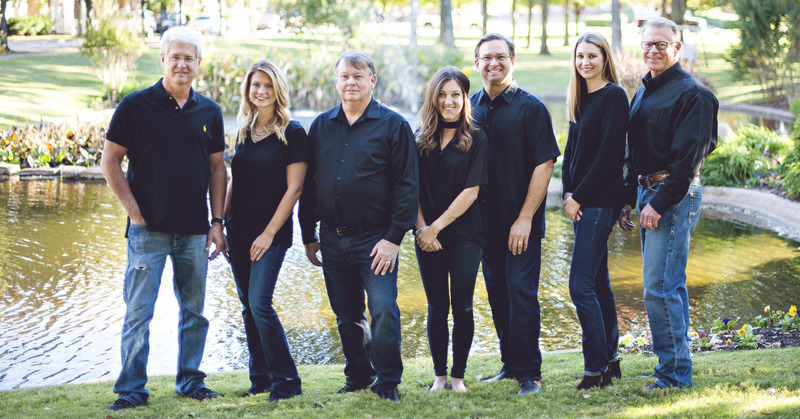 You can’t go wrong with any of the doctors at Creekside! I have been a patient of doctor Reiter for many years and I think that he is among the best and I have also had two bone scans and that was also great, his wife who does the bone scans is a very caring and pleasant person. Doctor Reiter is one of the best doctors I have known in my life. And he comes with much knowledge and helps people every day. He delivered my 3 babies. Thank you so much for taking care of me! Dr. Reiter is a very good Dr. He is very respectful and answers all questions fully and with detail. He explains everything where you can understand. His nurse is very sweet and kind. Been here for over 15 years. Never unhappy! Dr. Clouatre and his staff are the best. Dr. Reiter is awesome. He’s very patient & listens to your concerns. Thank you for suggesting to have my bone density test & colonoscopy. Dr. Cunningham is a really good doctor and seems very caring during every appointment, I highly recommend him! Dr. Mason is wonderful. She is so caring and kind at each appointment and really makes me feel like I am in the best hands! I highly recommend her! I had heard wonderful things about Dr. Ashely Mason so I chose her to be my OB. She has been absolutely wonderful. Very friendly, compassionate, and professional. She has taken my care the extra mile so far and I could not be happier. Will definitely recommend her to anyone looking or needing a new doctor.